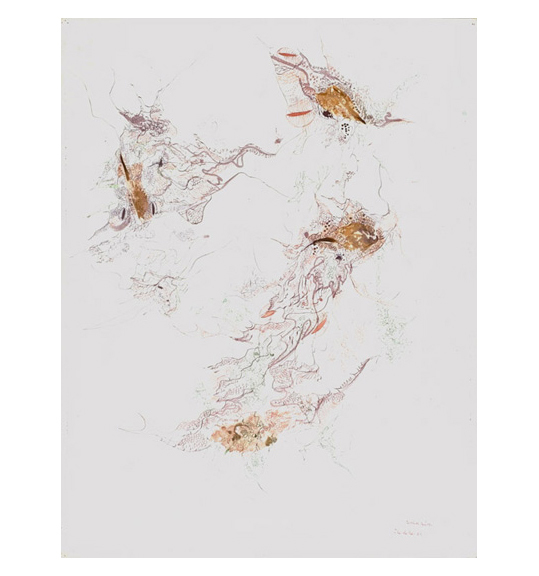 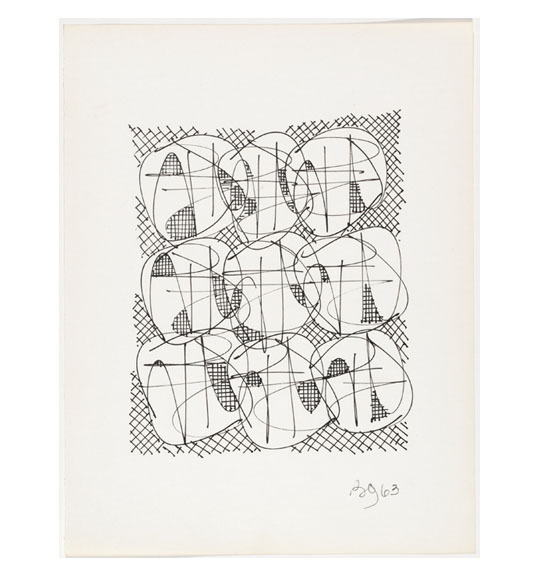 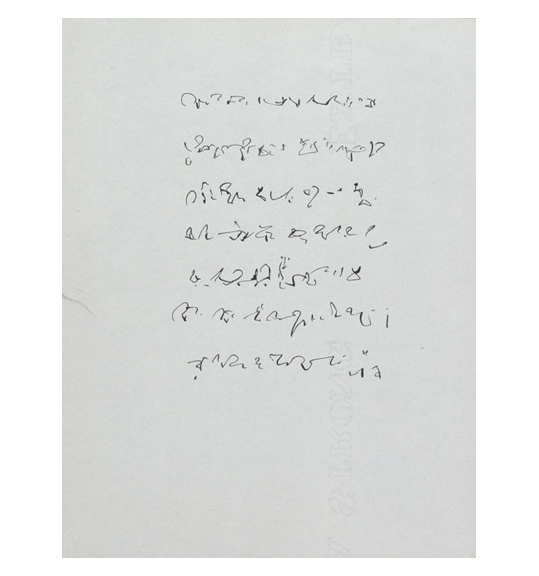 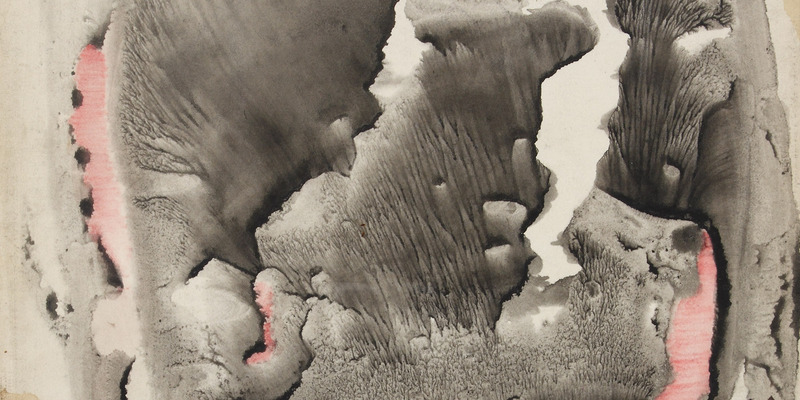 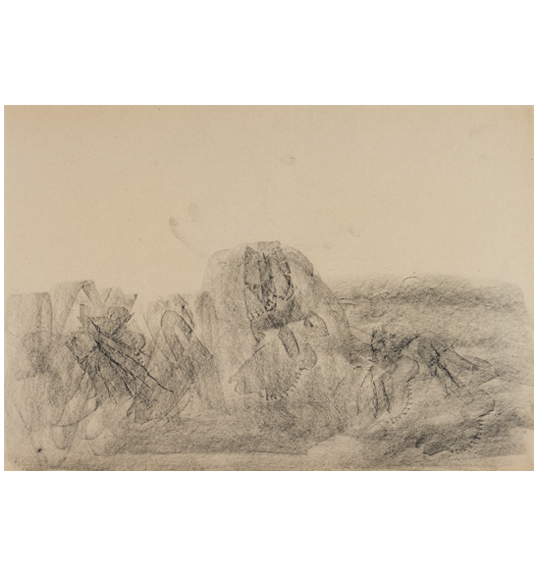 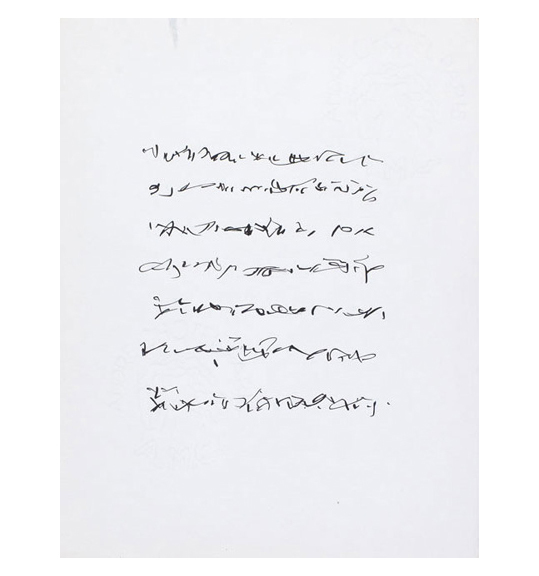 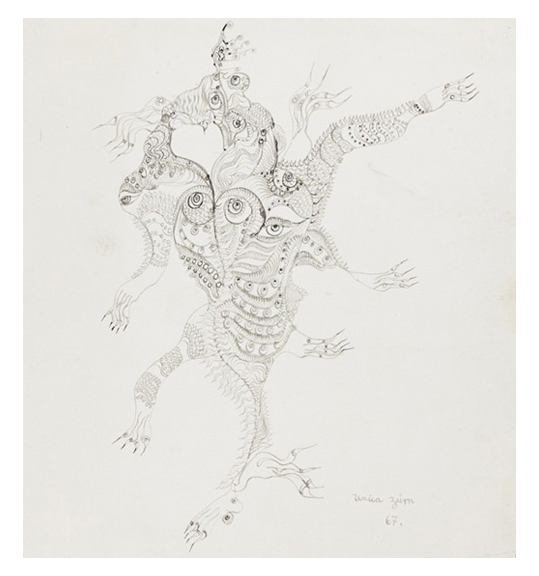 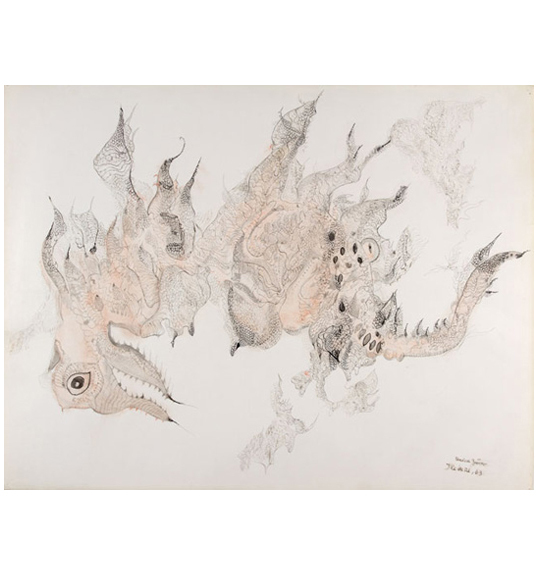 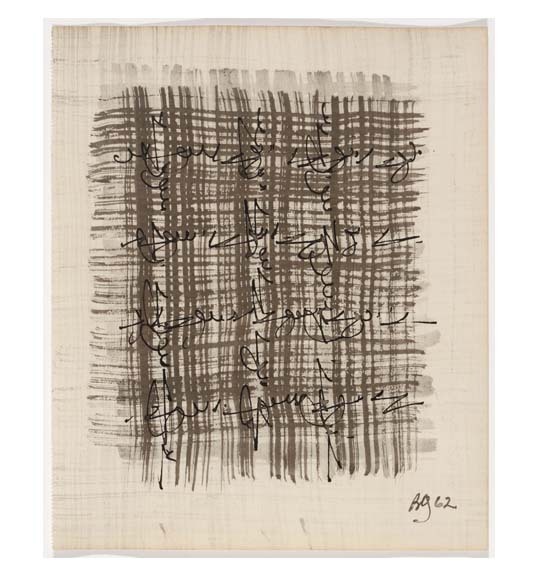 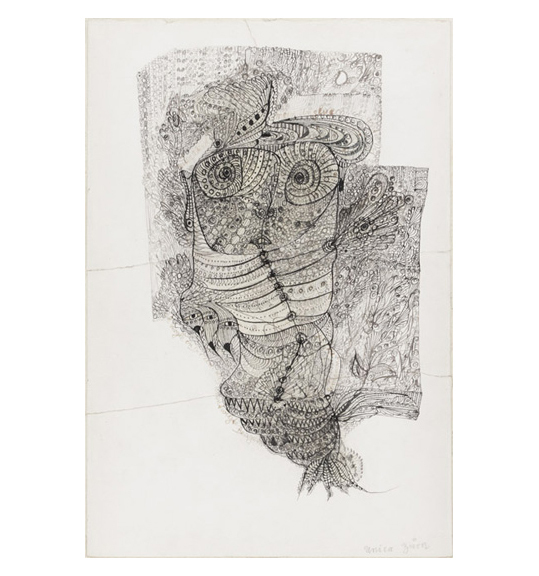 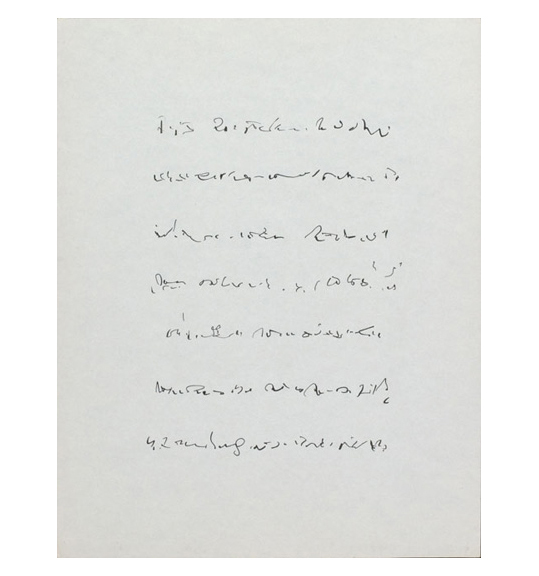 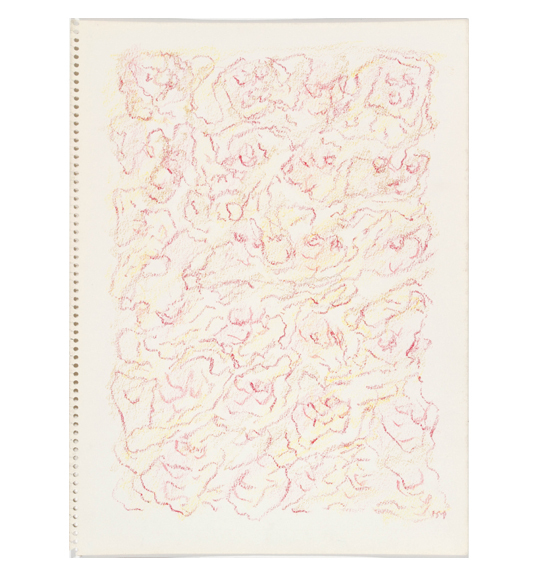 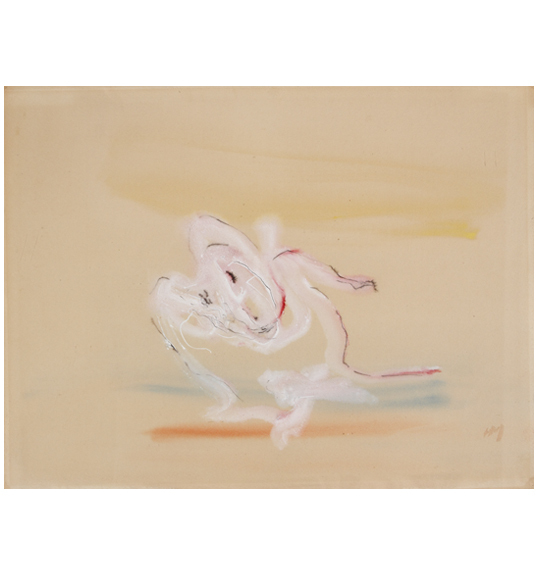 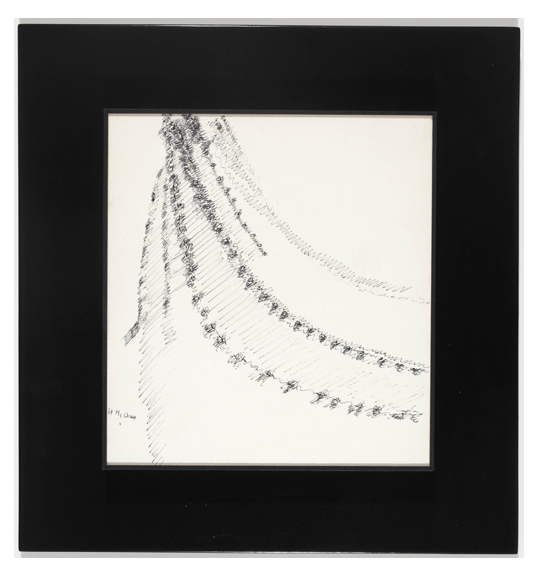 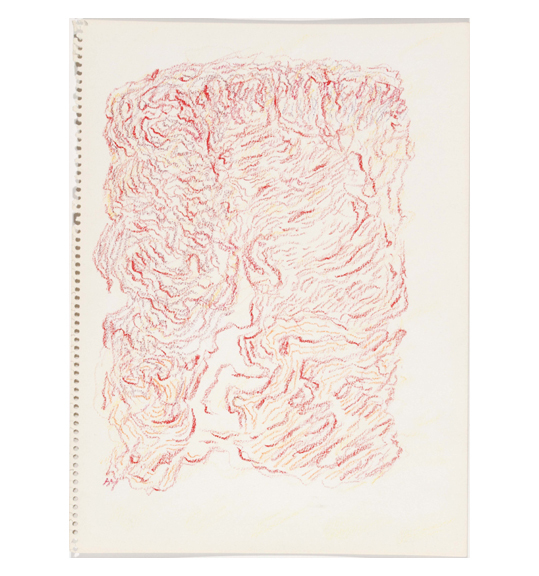 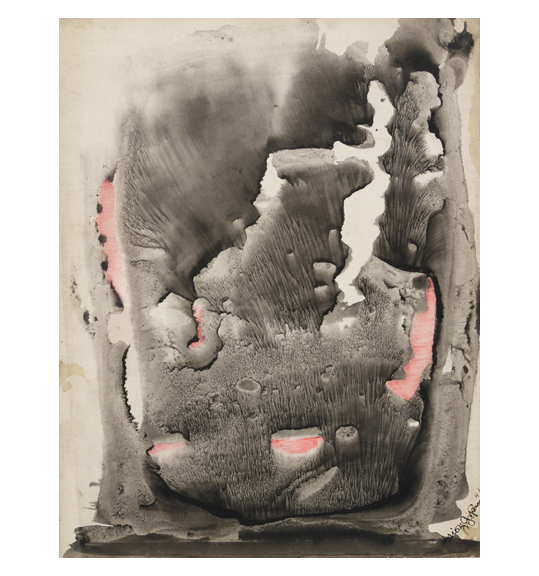 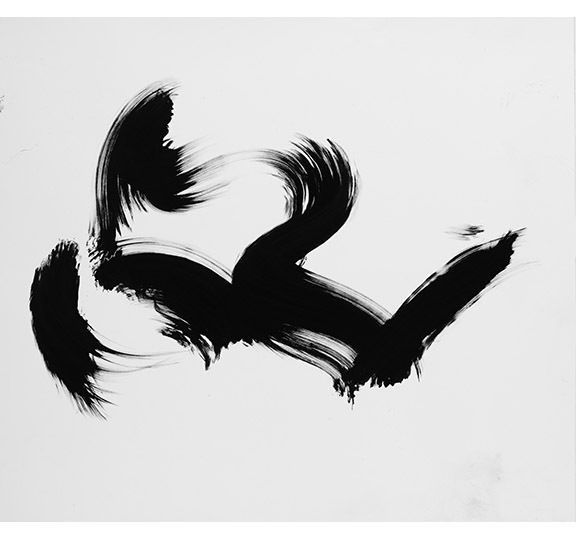 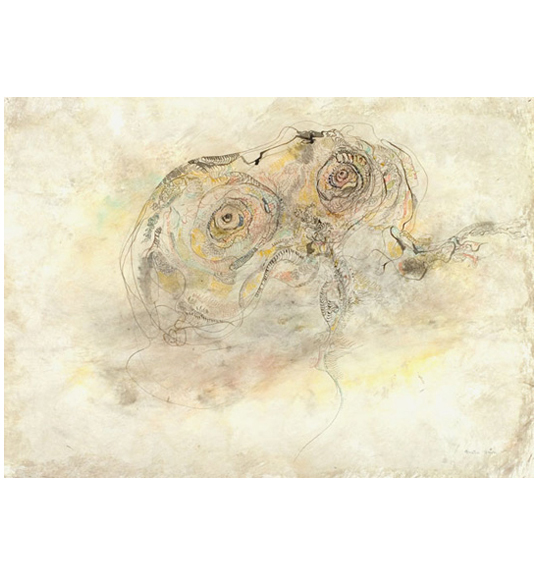 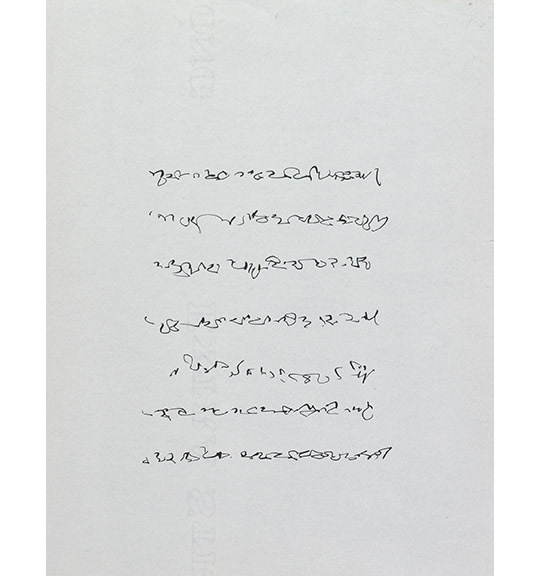 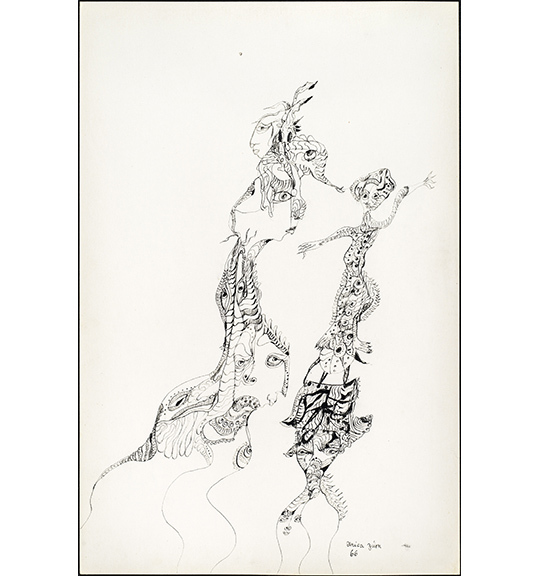 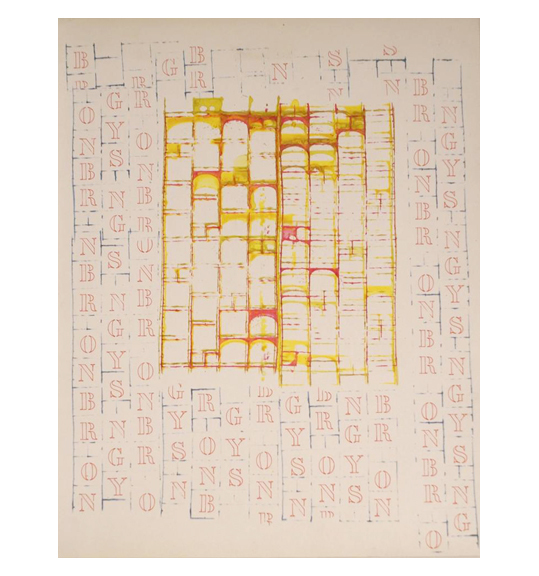 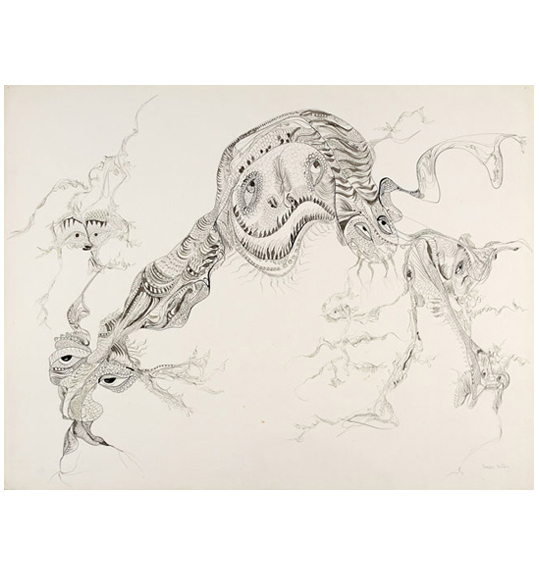 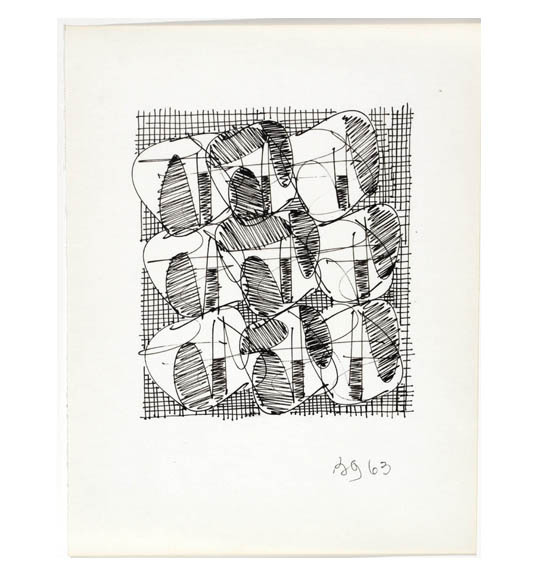 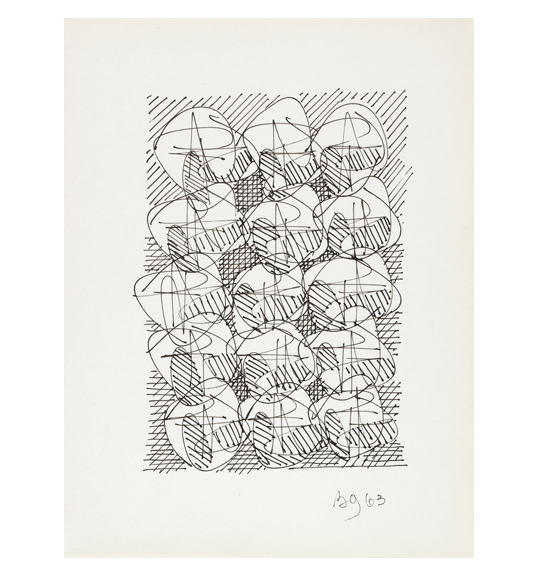 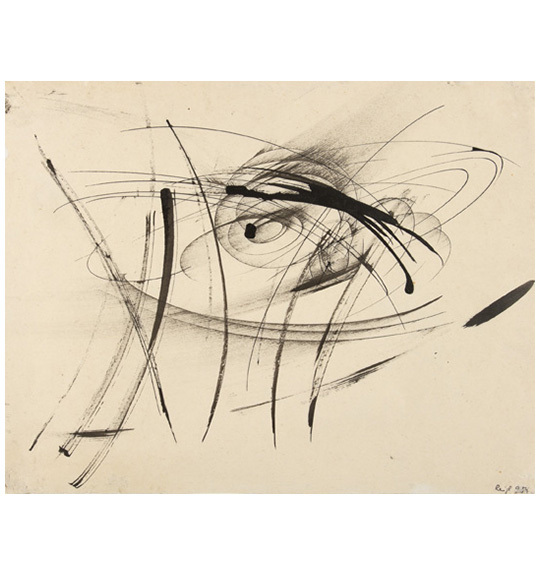 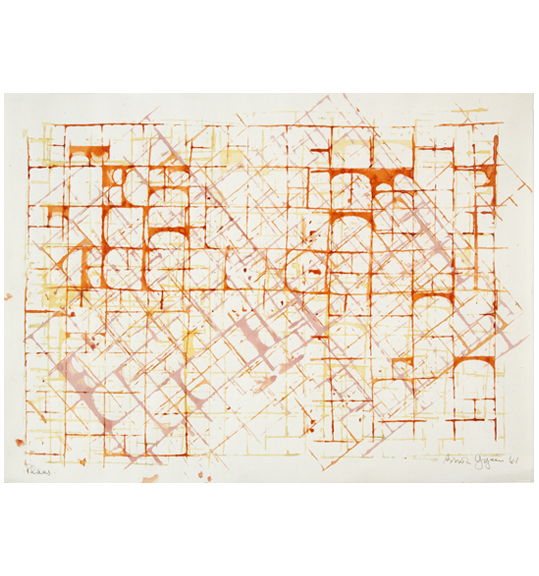 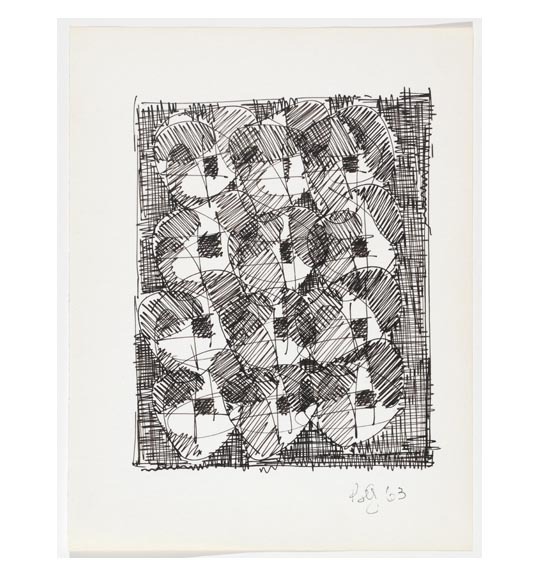 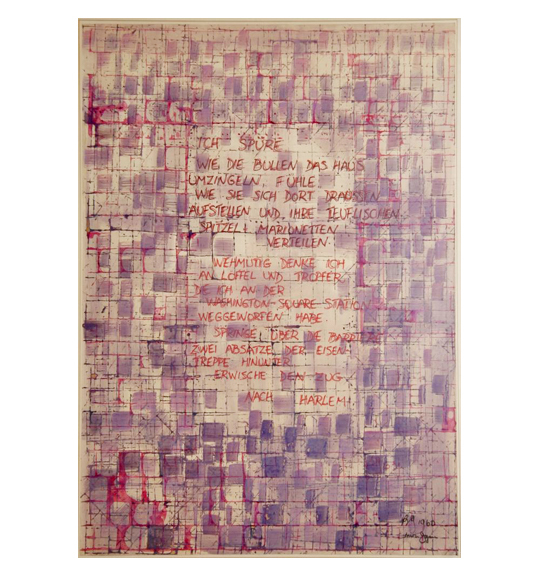 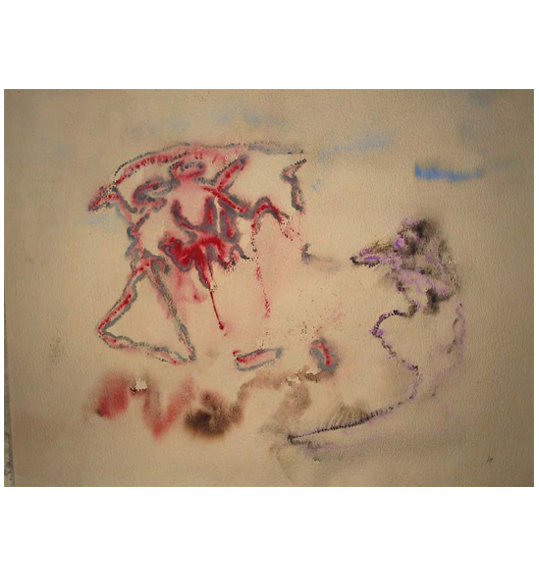 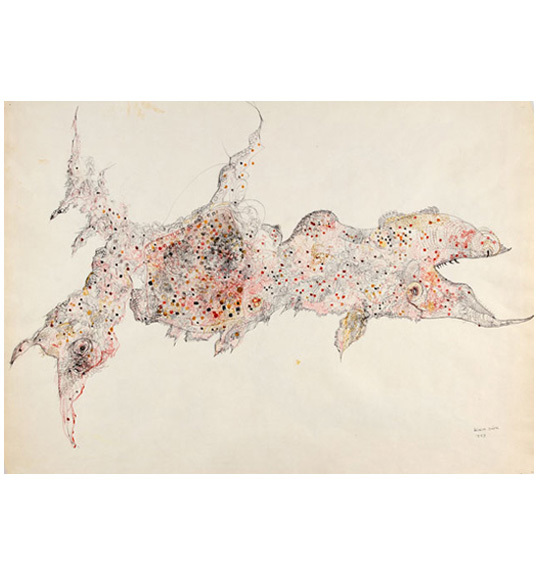 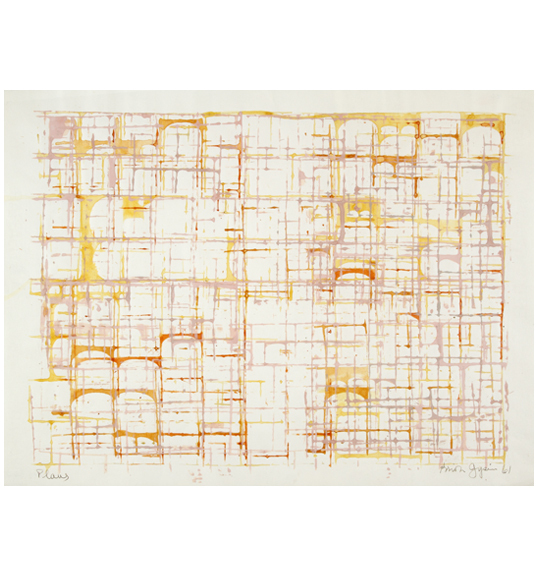 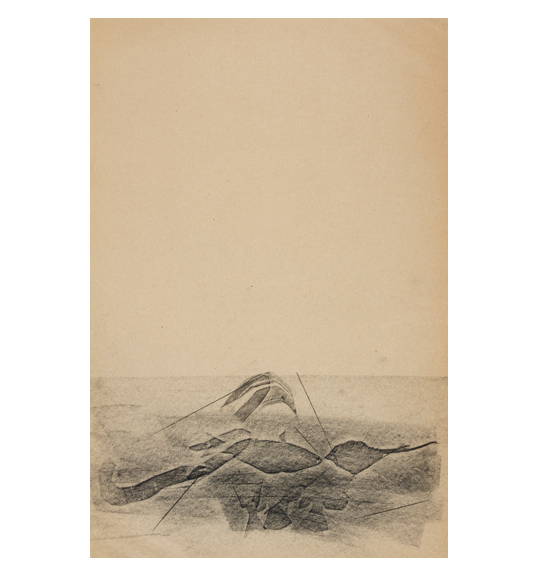 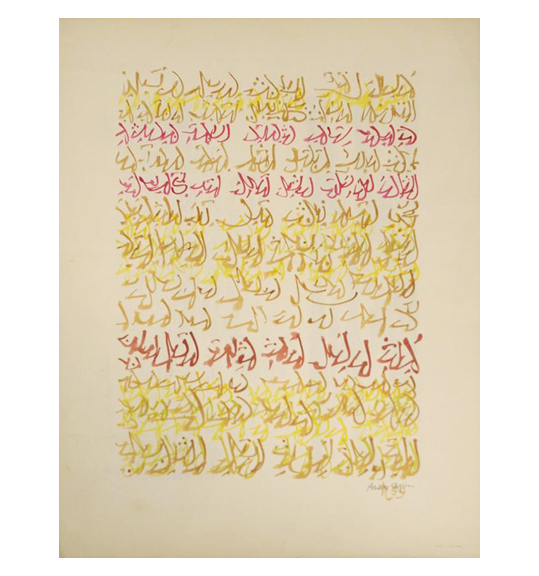 Ubu Gallery presented Witnessing Visions: Brion Gysin, Henri Michaux, Judit Reigl, Unica Zürn, focusing on works on paper from the 1950s and 60s. 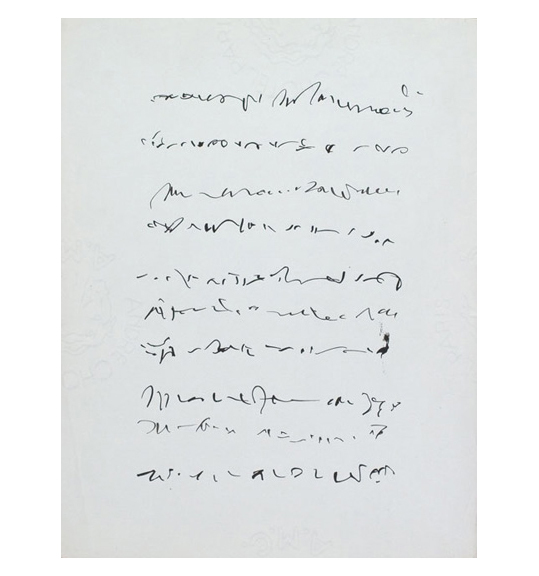 The exhibition featured automatic writings, drawings, frottage and decalcomania. 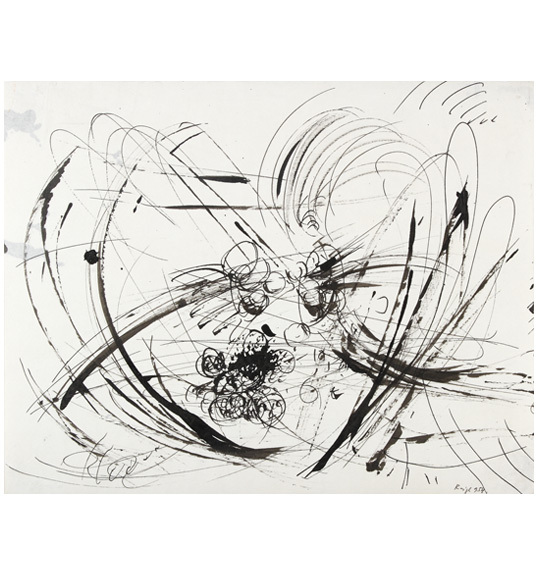 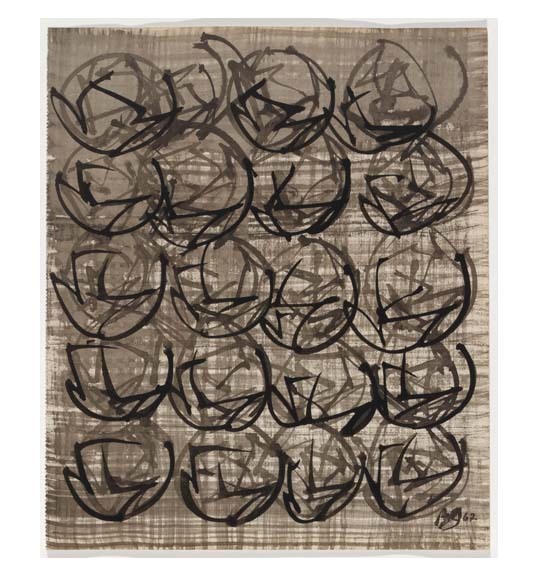 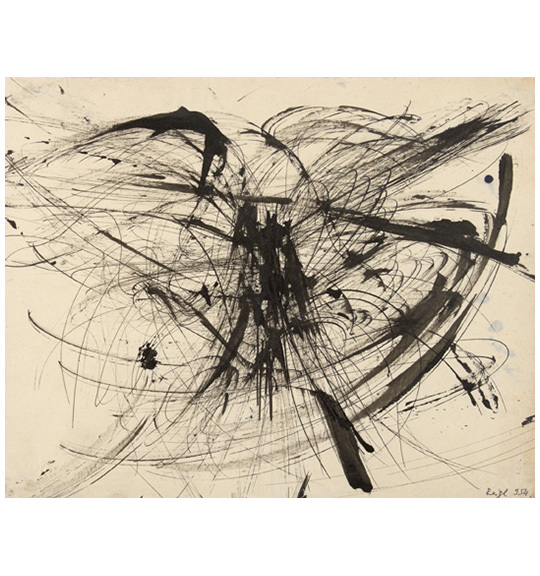 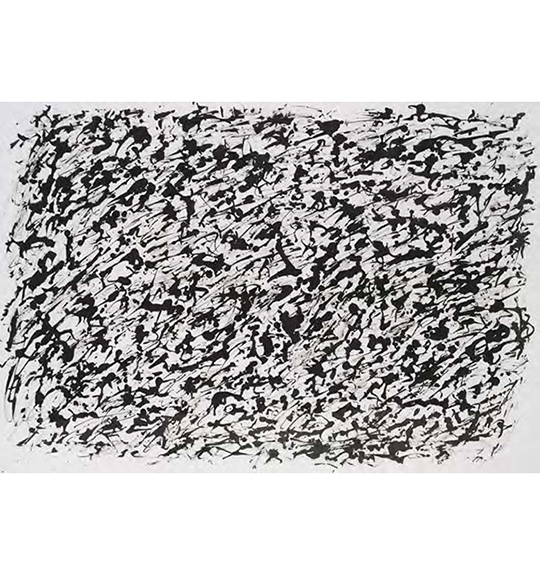 Although each artist has proven difficult to place in the art historical canon, the artists share a number of similarities—including, a tendency to utilize language and writing, the appearance of movement and fluidity across their works, and the use of automatism. 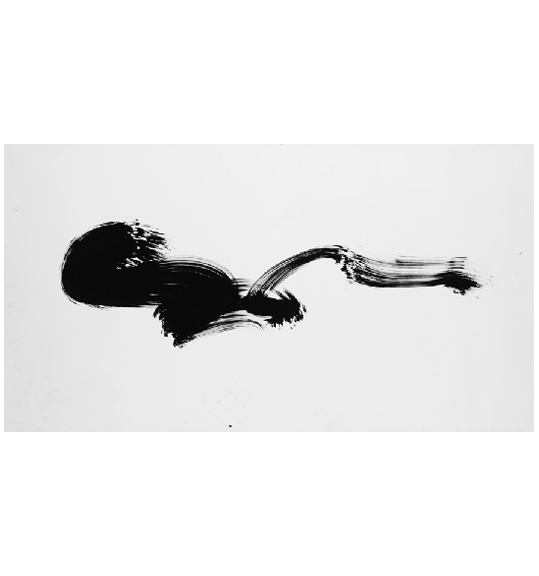 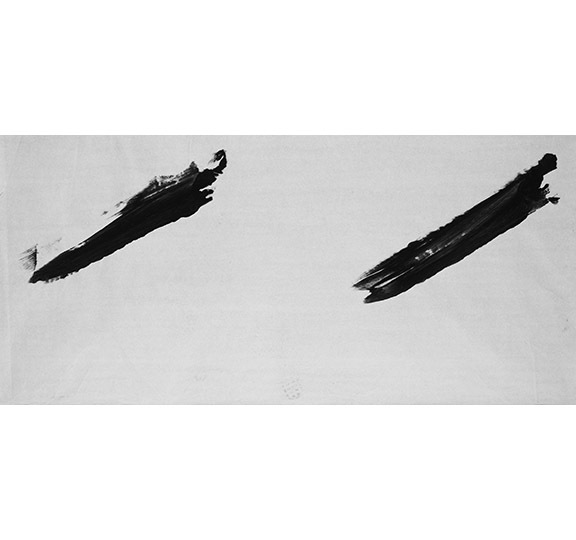 Judit Reigl (born 1923), Unica Zürn (1916-1970), Brion Gysin (1916-1986), and Henri Michaux (1899-1984) each explore a form of altered consciousness. 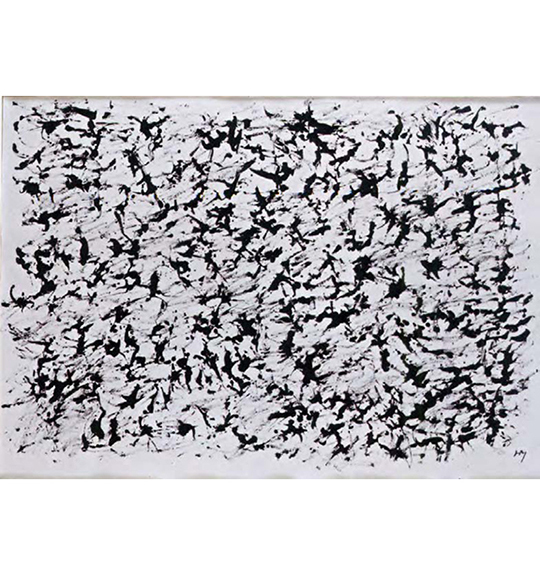 All of the works on display demonstrated how these varied artists found processes whereby the artwork could in some way “make itself.” Whether this automatic state was a deliberate disorientation brought on by drugs or an inadvertent psychotic “spell,” the artist is left as a vehicle and then witness to an unveiling work of art.